It is hard to beat plaques when it comes to versatility. 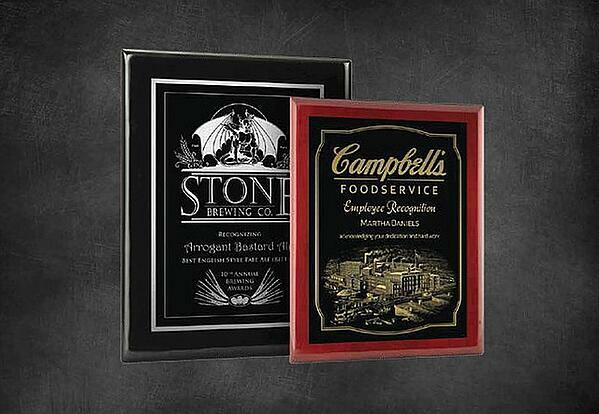 There are metal plaques that provide a professional look that will last you for generations. Acrylic plaques can be used for an array of applications inside your venue. No matter the material, The Sign Studio's sister company, The Trophy Studio can engrave your plaque with your custom message. To learn more about what you can do with engraved plaques for your business in Los Angeles, read on! Where Are Engraved Plaques Installed? Building Signs – On the exterior of buildings, metal is the main material used for plaques because it can stand up to all types of weather. However, with the mild Southern California climate, acrylic and PVC plaques will also serve you well. These can be any color to match your other marketing materials. We can even incorporate your logo. Suite Signs – When you have multiple units within your building, a favorite way to identify the different suites and rooms is with plaques. These plaques can have an engraved room number or name along with an insert holder so you can easily update it. We can also add braille to your suite signs to ensure they comply with ADA standards. 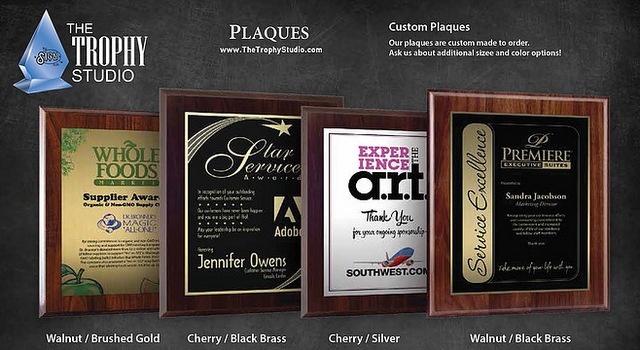 Lobby Signs – If you want to showcase your longevity in an industry, then metal plaques are the way to go. Or, we can engrave a large slab of acrylic with your organization’s branding. Clear acrylic is popular, and we can fill the engraved portions with paint that matches your company colors. Engraved plaques also provide a classy way for you to display important information in your reception area. 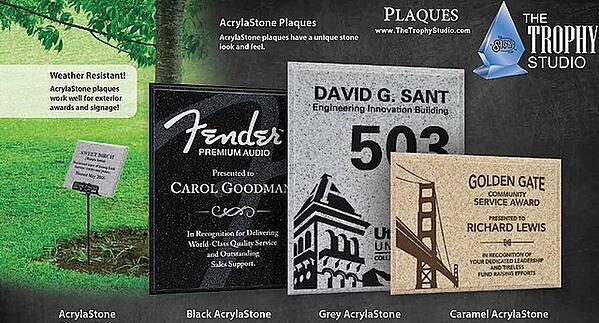 These are just a few of the ways you can benefit from installing engraved plaques for your business in Los Angeles. If you are interested in finding solutions that are specifically tailored to the needs of your organization, contact The Sign Studio. We will come up with recommendations based on your budget, goals, and venue. Contact us today!